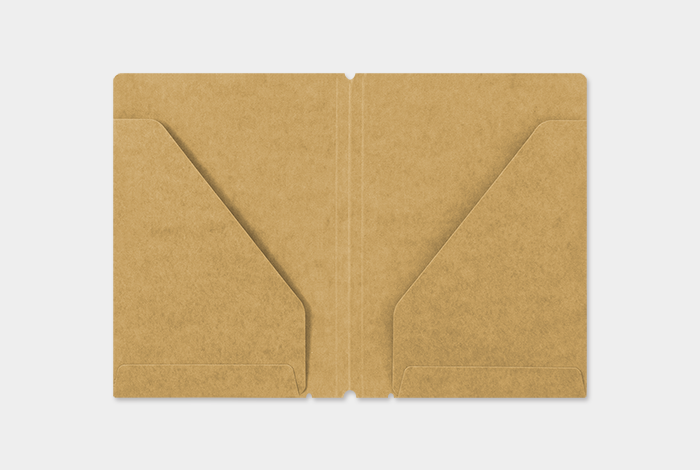 This is a folder you place in your passport size TRAVELER’S notebook. 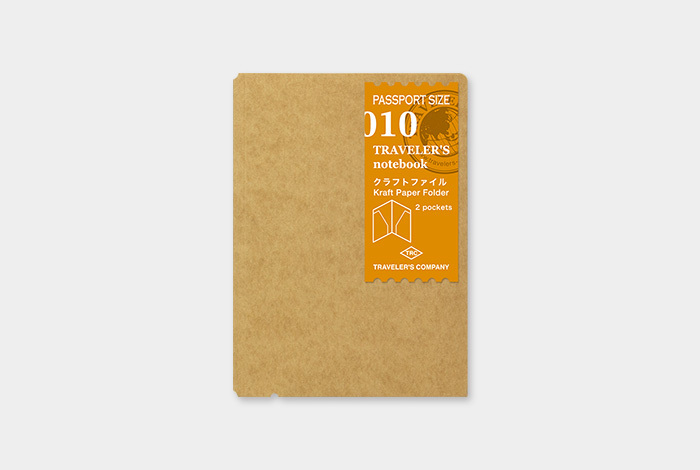 You can use this by covering one of your passport sized refills or by attaching it to the connecting rubber band. 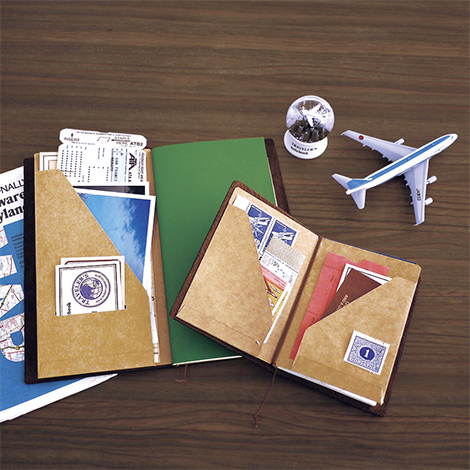 An impregnated paper is used for this folder, so it goes perfectly well with the leather cover of TRAVELER’S notebook. 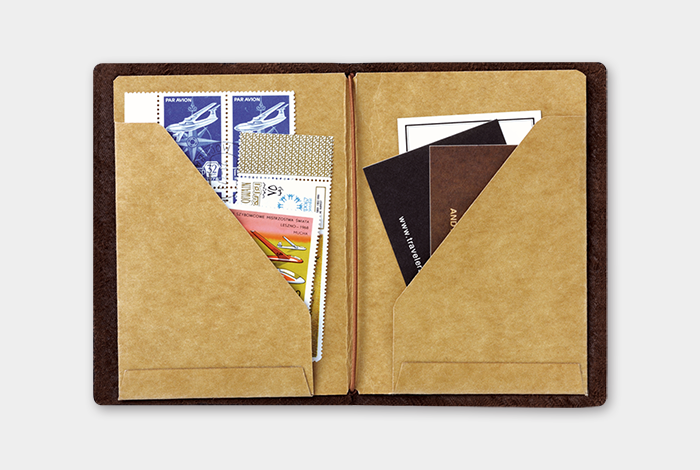 Please store cards, tickets, business cards that you acquire into this folder. We also recommend attaching stickers onto this file.